Review by AllTheBestFights.com: 2017-12-16, pretty good fight between Robbie Lawler and Rafael dos Anjos: it gets three stars. The former Ufc Ww champion Robbie Lawler entered this fight with a mma record of 28-11-0 (75% finishing rate) and he is ranked as the No.3 welterweight in the world. He lost to current #1 Ufc Ww champion Tyron Woodley last year (=Lawler vs Woodley) but he came back to win in 2017 with Donald Cerrone (=Lawler vs Cerrone). His opponent, the black belt in Brazilian jiu-jitsu and former Ufc Lw champion Rafael dos Anjos, has an official record of 27-9-0 (52% finishing rate) and he entered as the No.4 in the same weight class. He lost two consecutive fights in 2016, against Eddie Alvarez (=dos Anjos vs Alvarez) and Tony Ferguson (=dos Anjos vs Ferguson), but then he has beat Tarec Saffiedine (=dos Anjos vs Saffiedine) and Neil Magny (=dos Anjos vs Magny). Dos Anjos vs Lawler, main event of UFC on Fox 26, is the eliminator for the Ufc welterweight title. Watch the video and rate this fight! Review by AllTheBestFights.com: 2017-12-16, good finish between Ricardo Lamas and Josh Emmett: it gets three stars. The black belt in Brazilian jiu-jitsu Ricardo Lamas entered this fight with a professional record of 18-5-0 (56% finishing rate) and he is ranked as the No.4 featherweight in the world. He lost to current #1 Fw Ufc champion Max Holloway last year (=Holloway vs Lamas), but then he has won over Charles Oliveira (=Lamas vs Oliveira) and Jason Knight (=Lamas vs Knight). His opponent, Josh Emmett, has a mma record of 12-1-0 (42% finishing rate) and he entered as the No.39 in the same weight class. He has fought twice in 2017 losing to Desmond Green and defeating Felipe Arantes. Emmett vs Lamas is on the undercard of Robbie Lawler vs Rafael dos Anjos – UFC on Fox 26. Watch the video and rate this fight! Review by AllTheBestFights.com: 2017-12-16, pretty good fight between Glover Teixeira and Misha Cirkunov: it gets three stars. The black belt in Brazilian jiu-jitsu Glover Teixeira entered this fight with a record of 26-6-0 (85% finishing rate) and he is ranked as the No.7 light heavyweight in the world (currently the #1 in this division is Daniel Cormier) but he lost two out of his last three fights, against Anthony Johnson (in 2016 Johnson vs Teixeira) and Alexander Gustafsson (=Gustafsson vs Teixeira); between these two bouts he beat Jared Cannonier (=Teixeira vs Cannonier). His opponent, Misha Cirkunov (black belt in Bjj as well), has a mma record of 13-3-0 (85% finishing rate) and he entered as the No.23 in the same weight class but he comes off the loss against Volkan Oezdemir (=Cirkunov vs Oezdemir). Before this bout, in 2016, he had won over Alex Nicholson, Ion Cutelaba and Nikita Krylov. Teixeira vs Cirkunov is on the undercard of Robbie Lawler vs Rafael dos Anjos – UFC on Fox 26. Watch the video and rate this fight! Review by AllTheBestFights.com: 2019-03-30, Josh Emmett vs Michael Johnson gets three stars thanks to a nice finish. Josh Emmett entered this fight with a professional mma record of 13-2-0 (46% finishing rate) and he is ranked as the No.15 featherweight in the world but he comes off the loss against Jeremy Stephens (Josh Emmett vs Jeremy Stephens); before this bout, in 2017, he had beat Ricardo Lamas (Ricardo Lamas vs Josh Emmett). His opponent, Michael Johnson, has an official record of 19-13-0 (53% finishing rate) and he entered as the No.16 in the same weight class. He lost three consecutive bouts between November 2016 and January 2018, the last one with Darren Elkins (Darren Elkins vs Michael Johnson), but then he has won over Andre Fili (Andre Fili vs Michael Johnson) and Artem Lobov (Michael Johnson vs Artem Lobov). 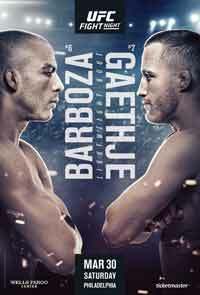 Emmett vs Johnson is on the undercard of Edson Barboza vs Justin Gaethje – UFC on ESPN 2. Watch the video and rate this fight! 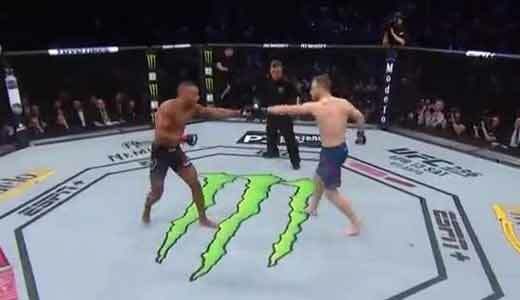 Review by AllTheBestFights.com: 2019-03-09, disappointing bout between Blagoy Ivanov and Ben Rothwell: it gets two stars. The black belt in judo, former world combat sambo and Wsof champion Blagoy Ivanov entered this fight with a professional record of 16-2-0 (75% finishing rate) and he is ranked as the No.21 heavyweight in the world but he comes off the loss against Junior dos Santos (Junior dos Santos vs Blagoy Ivanov); before this bout, in 2017, he had beat Shawn Jordan (Ivanov vs Jordan) and Caio Alencar (Blagoy Ivanov vs Caio Alencar). His opponent, Ben Rothwell, has a mma record of 36-10-0 (92% finishing rate) but he is not ranked as he hasn’t fought since April 10, 2016 when he was defeated by Junior dos Santos (Junior dos Santos vs Ben Rothwell); before this fight he had won over Josh Barnett (Josh Barnett vs Ben Rothwell). 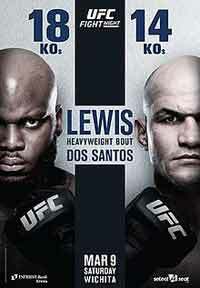 Ivanov vs Rothwell is on the undercard of Derrick Lewis vs Junior dos Santos – UFC Fight Night 146 (UFC on ESPN+ 4). Watch the video and rate this fight! Review by AllTheBestFights.com: 2019-03-02, great fight between Robbie Lawler and Ben Askren: it is close to get four stars! The former Ufc Ww champion Robbie Lawler entered this fight with a mma record of 28-12-0 (75% finishing rate) and he is ranked as the No.9 welterweight in the world but he lost two out of his last three fights, against current #1 Ufc Ww champion Tyron Woodley in 2016 (Lawler vs Woodley) and with Rafael dos Anjos at the end of 2017 (Robbie Lawler vs Rafael dos Anjos); between these two bouts he beat Donald Cerrone (Lawler vs Cerrone). His opponent, the undefeated former Bellator Ww and ONE FC champ Ben Askren, has a perfect record of 18-0-0 (61% finishing rate) but he is not ranked as he hasn’t fought since November 24, 2017 when he defeated Shinya Aoki (Ben Askren vs Shinya Aoki); before this bout, in 2017, he had also beat Agilan Thani (Askren vs Thani) and Zebaztian Kadestam (Askren vs Kadestam). Lawler vs Askren is on the undercard of Jon Jones vs Anthony Smith – UFC 235. Watch the video and rate this fight!